The Wolfpack is back in the epic finale to The Hangover Trilogy. No Wedding. No Bachelor Party. What could go wrong, right? 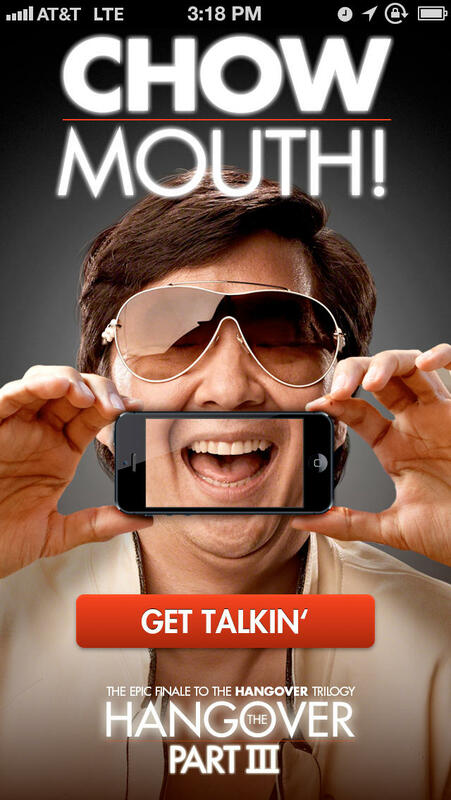 Mr. Chow is the life of the party and now you can party like a gangster with the Chow Mouth app. 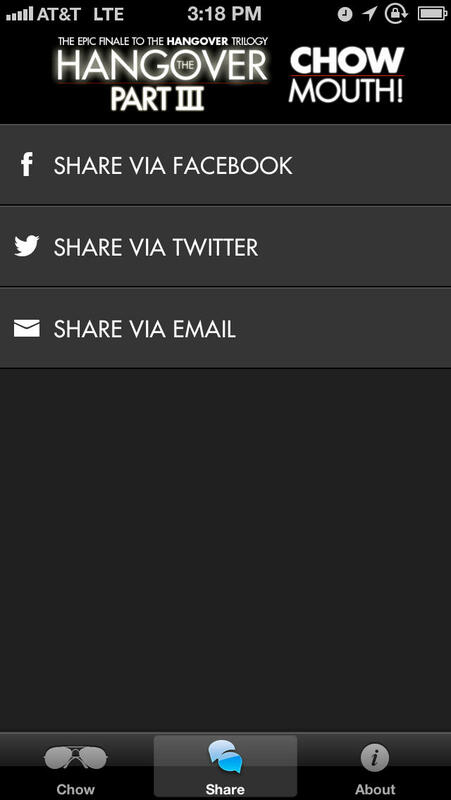 Use it to share all of Chow's best lines from the The Hangover Trilogy. Chowisms such as "I'll take you to Chinese Paradise," "Hey Fat Stuff," and "Gimme Some Sugar." Choose from a list of clips, hold your phone to your mouth and let Chow do the talking.